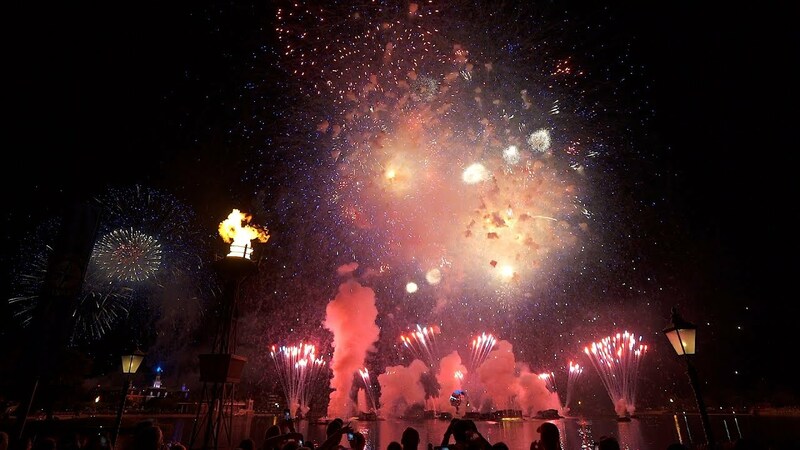 Jul 08, 2000 in "IllumiNations: Reflections of Earth"
As rumored, the perimeters were not used. This was because when they were planning the show, the drought threat was real. 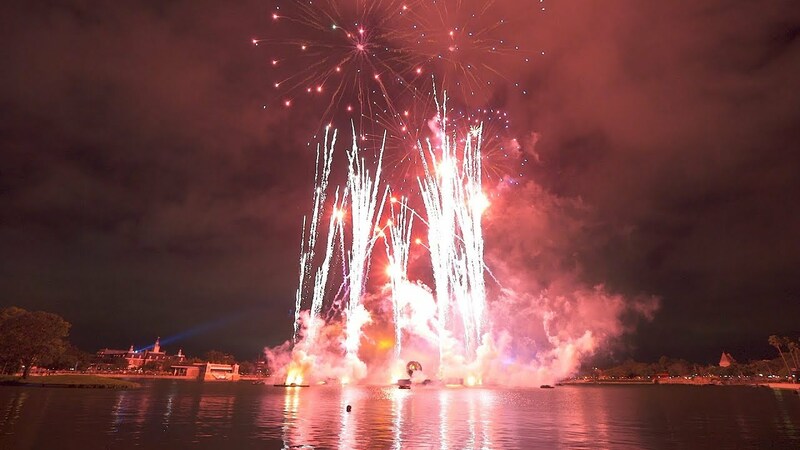 So they decided that rather than cancel the fireworks as before, they placed 5 (by my count, might have been more) extra small barges in the lagoon, along with the WWIII barge and a launcher on one of the islands. millennium. 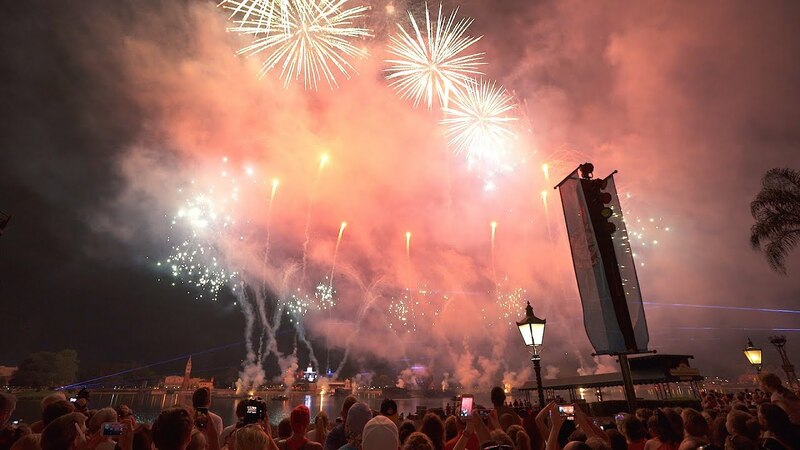 Then they play the Golden Dream theme from American Adventure, with pyro going off. Also, I think that the Mexico/Canada/USA laser were projecting images, although my angle forbade me a good view. though, maybe b/c of my angle. Plenty of lasers were used throughout the whole time. Finally, that's done, there's a special thank you, and Promise plays, with the American Adventure's outline lights on. Throughout this whole time, the globe keeps on spinning. The flames are extinguished and relit several times which really makes a neat effect.